There’s more to web design than making a page look pretty. At Contractor Calls, we know how much the right website can transform your business. That’s why all of our websites & SEO campaigns are built to help you get more calls, help you get better calls, and help you get more out of each call. 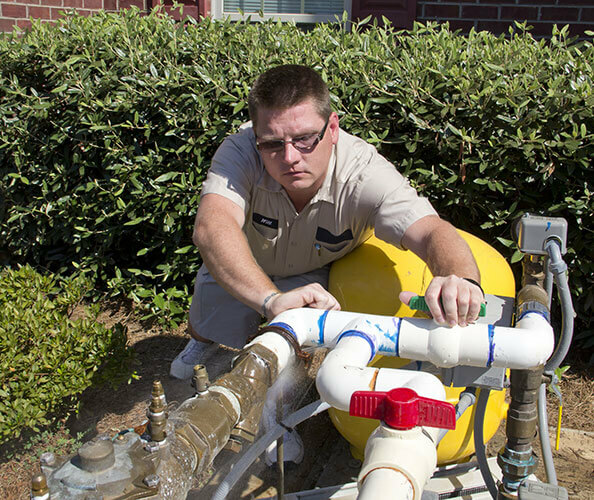 We’ve helped clients like Simpson Plumbing and Smart Choice Plumbing become household names in their markets. Schedule a free consultation today to see if you could be next. “Since I started using them I have seen my call rate go from 2-3 calls a day to 12-15 calls in only 3 months time. My website is ranking on the first page of search results right at the top in my local areas. 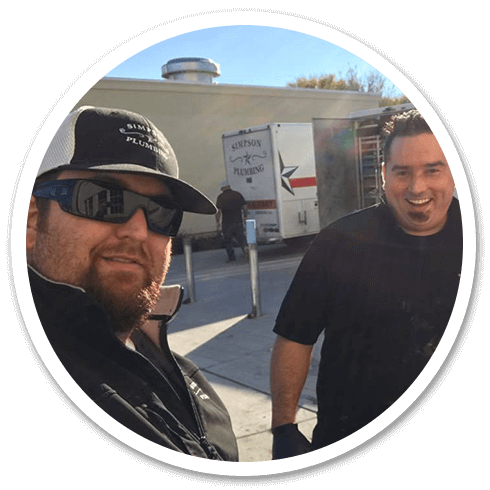 Why should someone call you for their plumbing needs? Are you the fastest or cheapest plumber in town? Is your equipment miles ahead of the competition’s? Has the company been in your family for generations? No matter what makes your company excel, we’ll make it shine. Every element of your website, from the text and font choices to the photos and page layout, is designed to tell that story. Not too long ago, the only way to make your website usable on computers and phones was to build two separate websites. That meant twice as much development, twice as much maintenance, and twice as much money. Tablets didn’t make that any easier. With responsive design, that’s no longer a problem. Responsive design allows your website to resize and rearrange itself for any size device, from a tiny smart phone to a huge cinema display. While it can take a lot more work to build a responsive website, in the end you’ll enjoy less maintenance, better consistency, better device compatability, and better SEO. Our websites don’t just talk the talk. They also walk the walk. 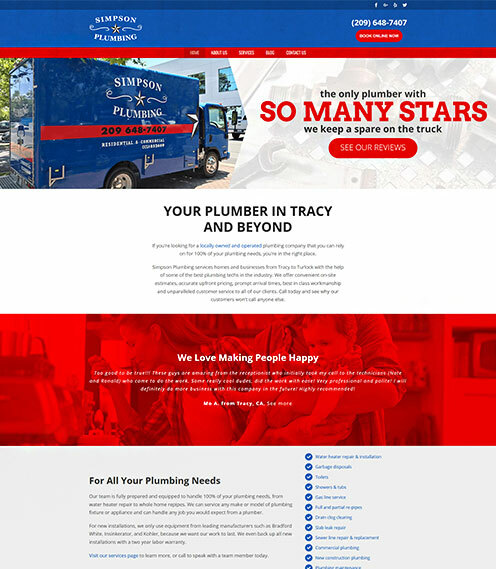 Our plumbing websites are designed to maximize your number of visitors and turn them into clients. Each one is built with the help of our in-house SEO specialists to work perfectly with our SEO packages. Each one also comes packed with the best marketing features for your indivudual needs. From on-site chat tools and social media integration to optimized lead capture forms and push to call phone numbers, your site will attract and convert more visitors from day one. There are lots of other SEO providers who claim to specialize in SEO for plumbers, but very few of them can show real results. Since 2008, our team has helped plumbers from across the country climb their way up the ranks and beat out the competition. Our approach is simple: don’t cut corners, don’t make false promises, and don’t forget that SEO is always changing. While our monthly SEO packages work best with websites that we have also built, our team can also offer SEO packages for websites built on WordPress, Squarespace, and more. How many keywords do I get? Only amateurs limit your number of keywords. With Contractor Calls, you tell us about your overall goals, and we find the best way to get you there. It’s that simple. Our pricing is based on your goals, your needs, and your competition. Our web designs start at $4,000 and our SEO campaigns start at $750/mo. But the guy on Craigslist said he could run my SEO for $100 a month! There’s another guy on Craigslist who can install water heaters for $100. For a brand new website, it can take up to six months for the SEO to start generating real business. For an older website, it can take as little as three months for the SEO to kick in. How will I know that it’s working? At Contractor Calls, we don’t send weekly 50-page reports written in Pig Latin. We also install smart features like contact form tracking and phone tracking to show you exactly how many leads you’re getting each month. Contact us for a free consultation to learn what we can do for you.